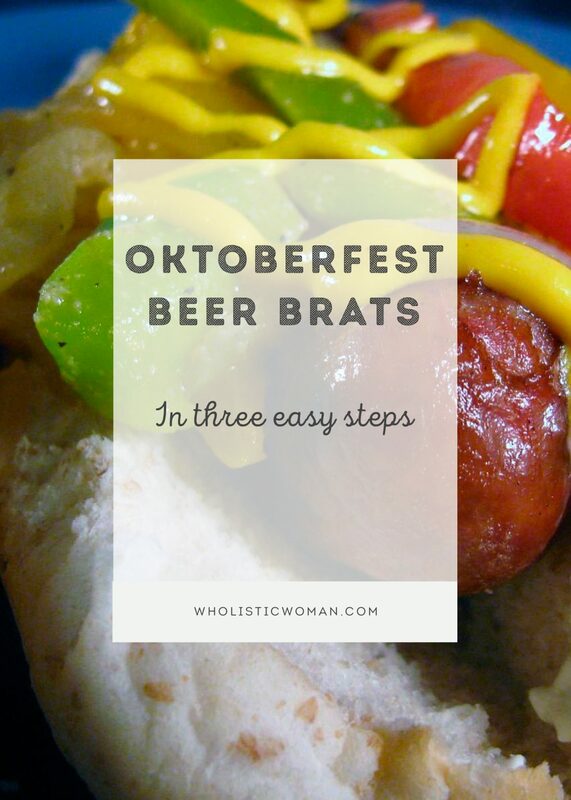 Ok so DH tells me they’re not really “Oktoberfest” beer brats because he used his homemade IPA instead of an Oktoberfest beer, but I think these are a great addition to any Oktoberfest celebration! He also wanted me to be sure to tell you that his IPA was made only using his home grown Cascade hops. Step 1: Boil the brats in beer for about 20 minutes. 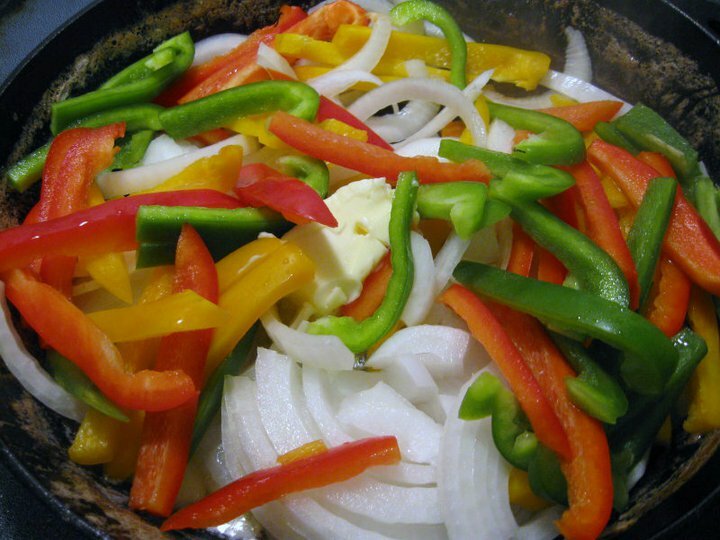 Step 2: Stir fry peppers and onions in butter with garlic powder, black pepper and sea salt until softened. Step 3: Grill the brats lightly to add a nice crunch to the skin. The Verdict: Oh my, this was a perfect lunch. The beer adds so much to the flavor of the brat, and the fresh veggies make it seem a little more healthy. 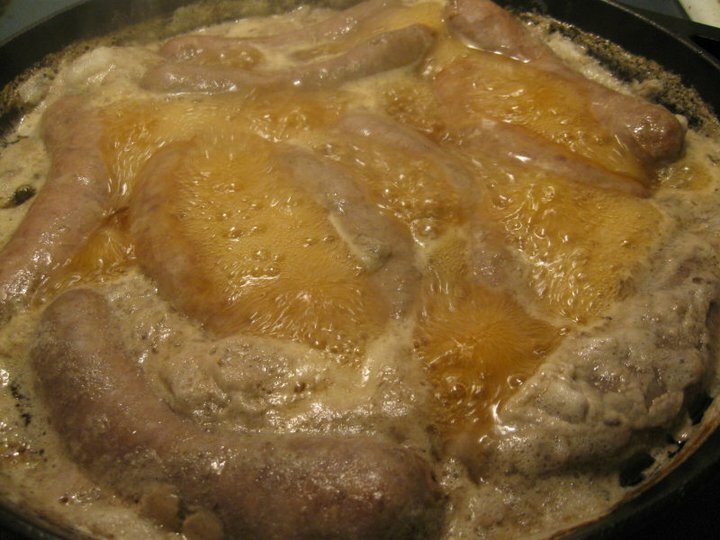 Never thought to boil the brats in beer. The Boy will like this! OH yuuuuuummmmm!!! Had my first brat this weekend. Now it seems I’ll have to have some more. We cook our polish kielbasa (Parksides only!!!) in beer. Always have. Always will. THE best! I am not that experienced with Bratwurst and this sounds really good! Enjoying your blog, thanks to you having it on your auto signature through Trillium CSA group!!! Just wondering if you get your brats from someplace “special” in town?? Would love to win the food scale, cooking local and real food is pretty new to us and I think it would come in handy! OK what are the best brats in town? I need to make these. The absolute best, in my humble opinion, are from Creswick Farm. You can get them at the Fulton Street Farmer’s Market (their chorizo is also the bomb!). We stuffed brats made from Chubby last year but I never thought to cook them in beer – brilliant! Two of my favorite things. They look so incredibly fall and yummy!! 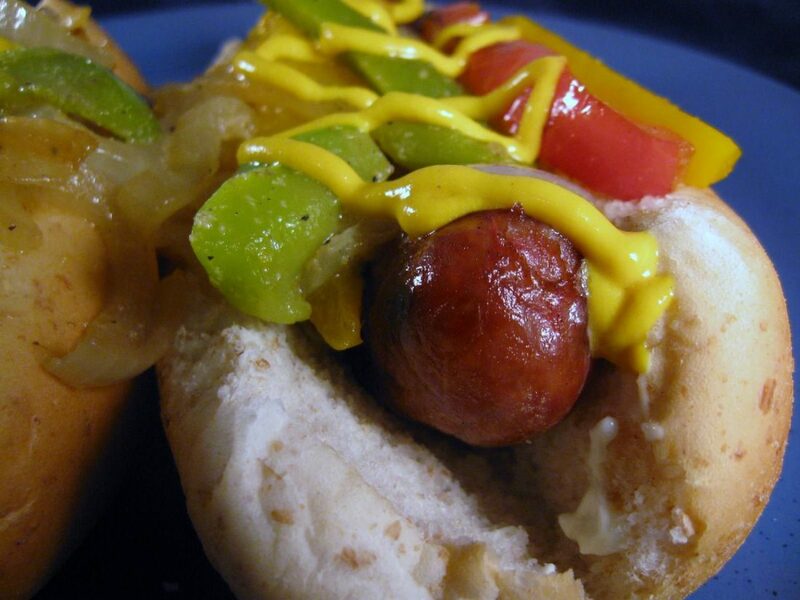 Now I want brats – and maybe a pot of chili (sigh). My hubby will agree with you whole heartedly!!!!!!!!!!!!!! These look amazing AND healthy. I love brats made this way!! So yummy!! !